Welcome to another weekly segment on anime's most famous voice actors both English and Japanese. 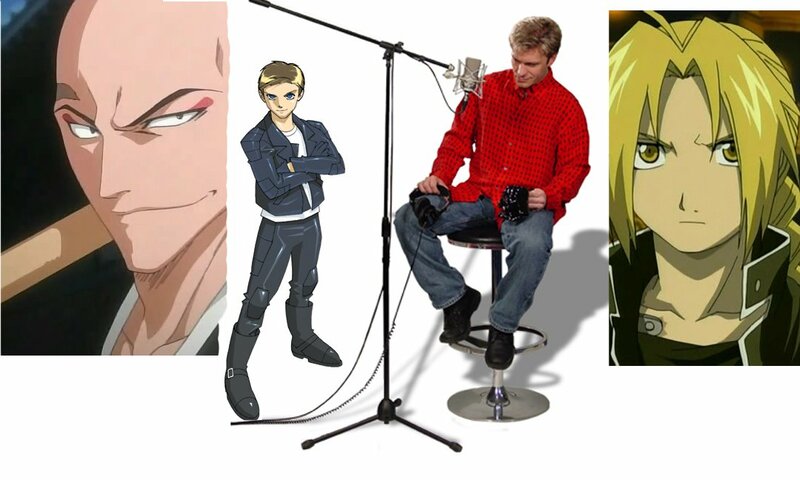 This week is none other than the English voice of Edward Elric, Vic Mignogna. Vic was born in Greensburg Pennsylvania in 1962. 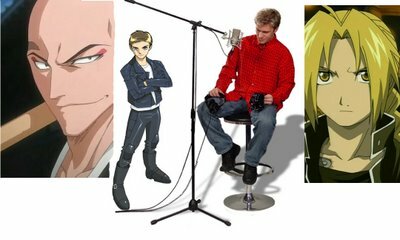 As stated before, he's most famous for his voice as Edward Elric from Fullmetal Alchemist but he also did the voices of Virgil from Trinity Blood, Brolly from DBZ, Fai Flowright from Tsubasa Chronicals and even Luffy from One Piece. As of yesterday it became official that he'll even be the voice of Tamaki Suou from Ouran High School Host Club. More of his voice works here on the wikipedia page of course. I got the honor to meet with him back 05' at I-Con and you will catch him flirting with the some of the girls since apparently he's seen by many of the female otaku as a good looker. At the end of one his panels he gave a wonderful speech about college in general and living your dreams. He shared many of the same views I have about the whole college system and being in business for yourself by branding yourself and learning to run your own life. He urged students (since this was at Stony Brook University) to go by their dreams and not be in a subject just to make their parents happy. He of course further implemented that what I ready knew about not being controlled by a boss in a job. If any of you ever go to a convention that he attends, be sure to attend his panels. Vic does have an award for Best Actor in the American Anime Awards but despite his celebrity status, he's a very humble guy. Check out his official site here and his fan club, named Risembool Rangers from FullMetal of course here.